This lenticular edition has a fun 3D cover to add to the kid appeal. 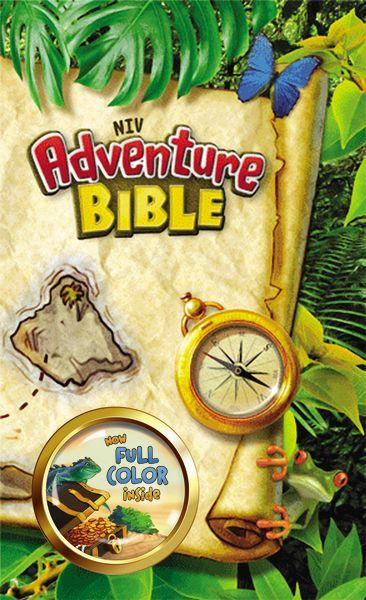 This new edition of the bestselling NIV Adventure Bible maintains all of the features loved by kids and is now available in full color throughout! Kids will be even more captivated with learning about the people, places, and culture of the Bible. Maintains same pagination (same page numbers) as the original Adventure Bible. This lenticular edition has a fun 3D cover to add to the kid appeal. Ready for Adventure? Embark on a fun, exciting journey through God's Word with the NIV Adventure Bible--now in full color throughout! Along the way you'll meet all types of people, see all sorts of places, and learn all kinds of things about the Bible. Most importantly you'll grow closer in your relationship with God. This is replacing ISBN's 9780310721963 / 0310721962.